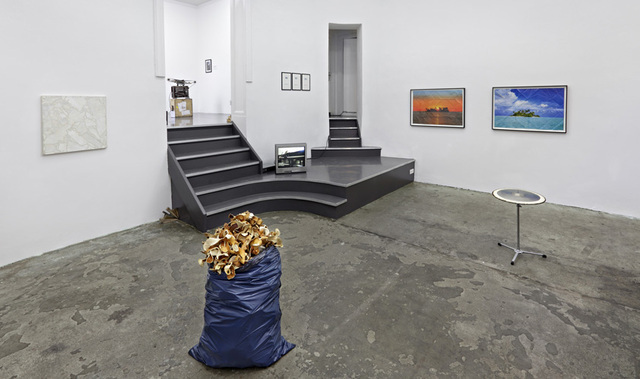 This was a group show at Tanya Leighton Gallery, Berlin. Curated by Pavel Büchler, we showed the work Stille Post (2010). From the press release "In their diverse ways, the works explore what artists do and how they go about doing it, how they make sense by insisting on doing what ostensively makes no sense in itself. Some seem to promote idleness, even boredom, as if to evade the banality of production and cultural waste; others do what it takes and embrace with overt determination the futility of artistic labour, the paradox of a job not really worth doing but needing to be done nonetheless."